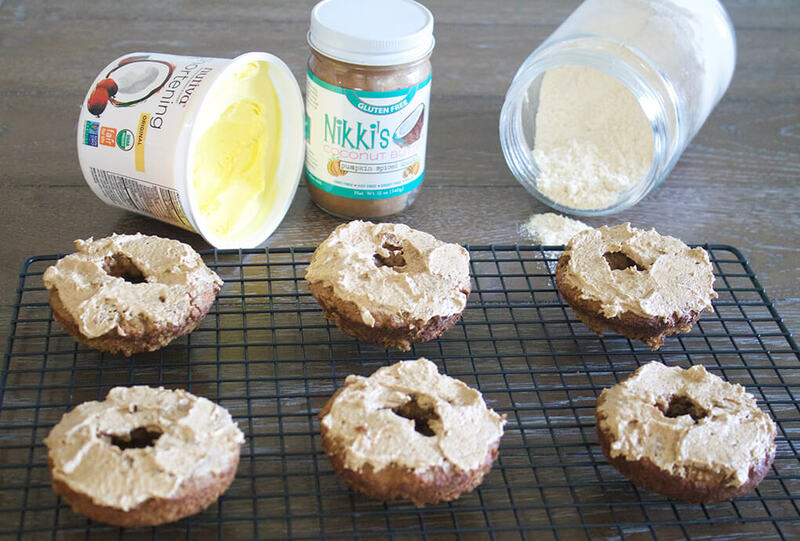 These Pumpkin Spiced Donuts are going to be a hit for everyone at your house. Yesterday was a weird day. Let’s just get that out of the way. 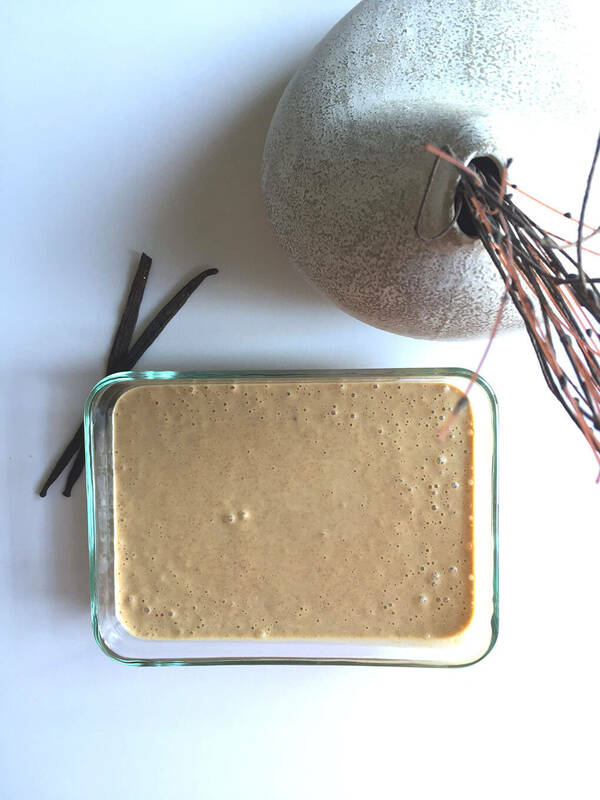 I needed to lighten my thoughts up a bit, so I figured today was the perfect day to finally share with you my Pumpkin Pie Pudding recipe. Last night I had a crazy dream. I couldn’t fall asleep until almost 11pm, and then I was up several times throughout the night. The culmination was this dream. In my dream, another one of our social workers (not the one who called before) called to tell me, “Well, I have some interesting news for you…..” A few seconds prior, her connection had been cutting in and out and she mentioned that she could lose me soon. And then she lost me before she could finish the sentence. She didn’t return my call immediately. In the meantime, I told Ryan exactly what she had said. In my dream, he was crying. I then, of course, woke up from the dream. I never did find out exactly why or what she was going to tell me. This morning, the story lingers, even though it’s not true, just a dream. And that’s kind of how I feel about the entire day yesterday. I heard something that doesn’t seem real. I cried. It crushed me. I told a good friend something super private, my own little “unreal dream” I’ve been living. Do you ever feel like in life, just like in dreams, you have a hard time understanding what’s real and what’s not? What should be real and what should not? 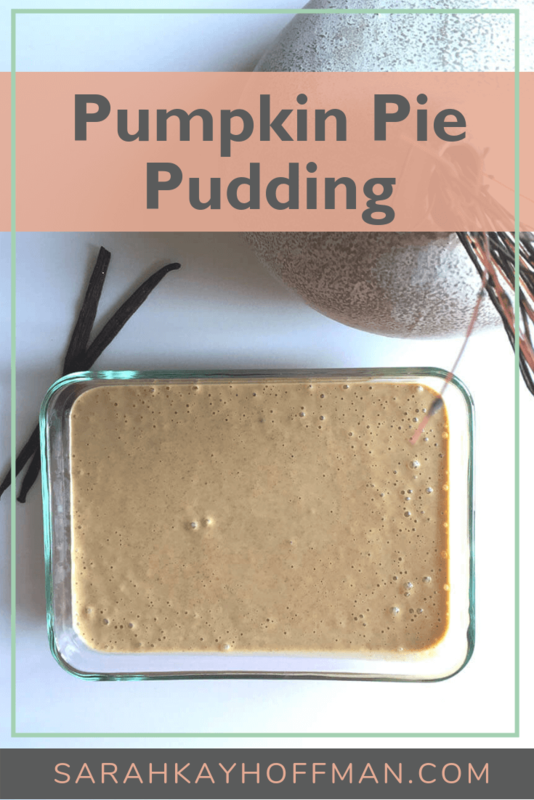 I’ll totally make a batch of this for Pumpkin Pie Pudding because it’s a dreamy that gives me the fall daydreams all day long. p.s. Still totally in the 90’s here, still totally hating it, and still totally willing my life into fall days. 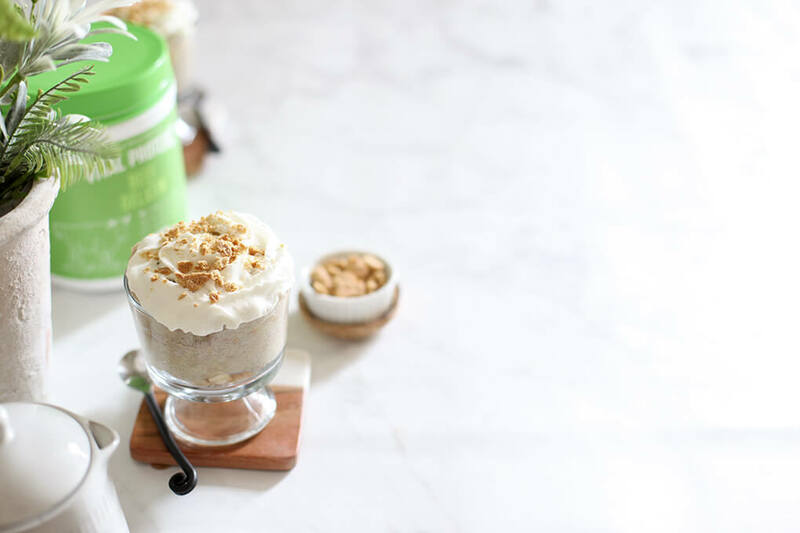 This Pumpkin Pie Pudding is the perfect blend of gut-healing goodness and fall-flavored inspiration. It is gluten, dairy, soy, corn and nut free. 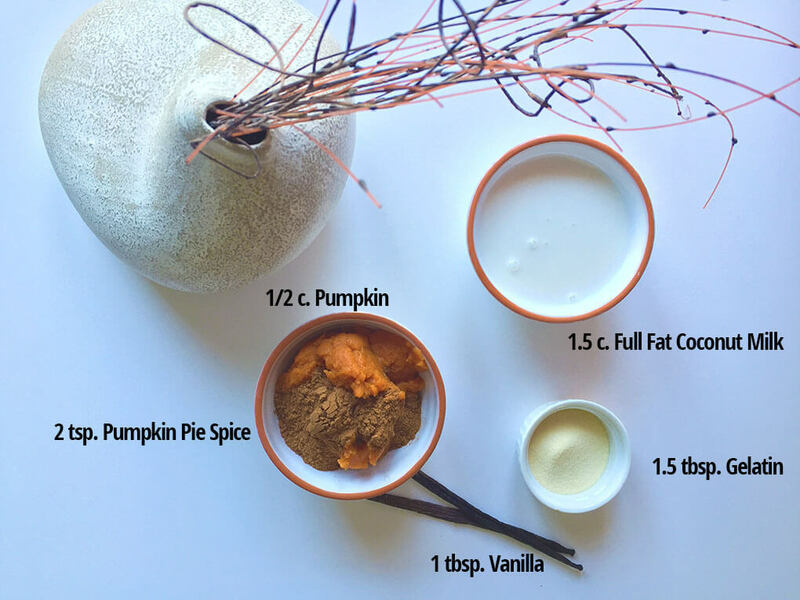 Place ¾ cup milk, pumpkin, pumpkin pie spice, and vanilla extract in a medium-sized mixing bowl. Bring the other ¾ cup milk to an (almost) boil on the stove in a small pan. Teaspoon by teaspoon mix the gelatin into the hot water. Add the gelatin mixture to the rest of the ingredients. Using either an immersion blender (I love THIS one) or hand mixer, mix together all ingredients until smooth. Transfer to a serving dish, cover, and refrigerate until hardened. 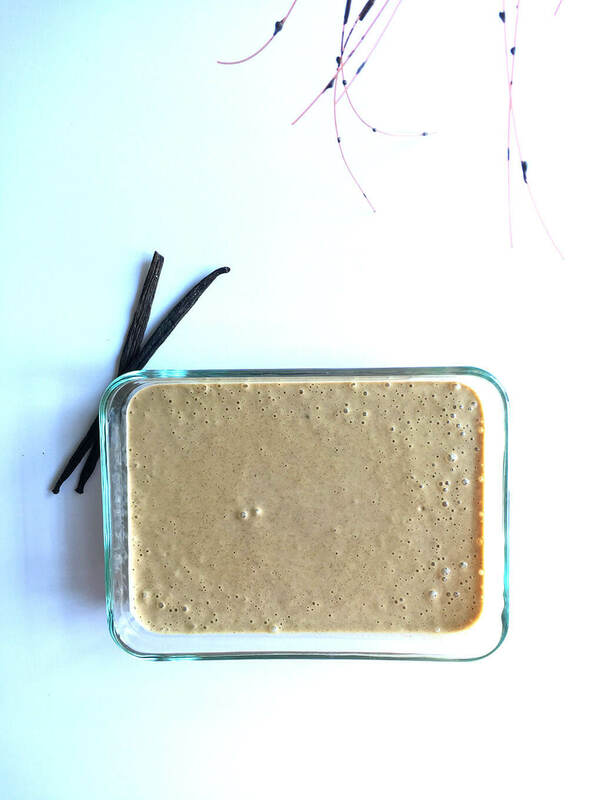 Serve as-is or to give a boost of sweetness, make my homemade, non-dairy whip cream. 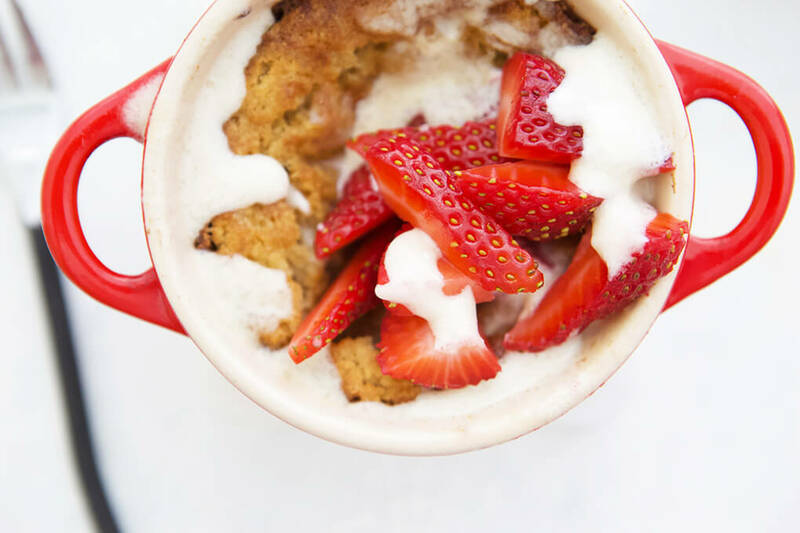 Non-Dairy Whip Cream: Use THIS full fat coconut milk. Place the can in fridge overnight (or at least 5 hours prior). Scoop about ½ cup milk out (it will be super thick) into a small bowl. 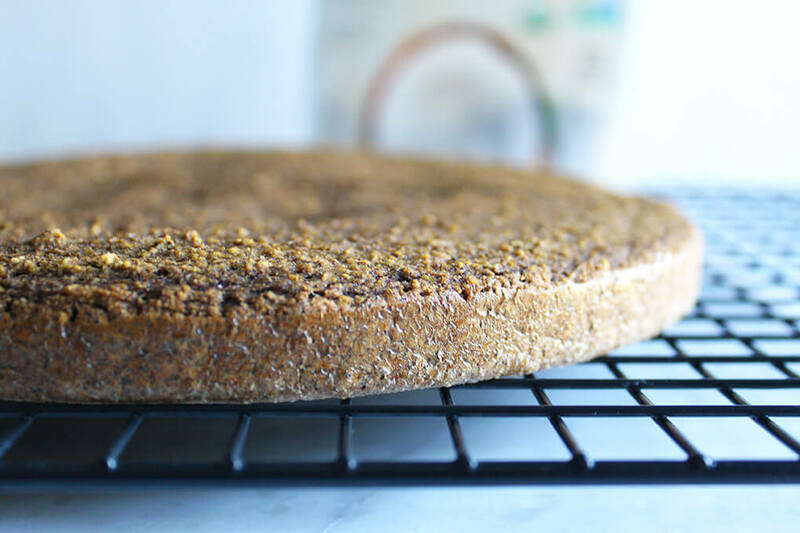 Add about 1 - 2 tbsp Nutiva Organic Coconut Sugar (depending on how sweet you like it) and whip together by hand. 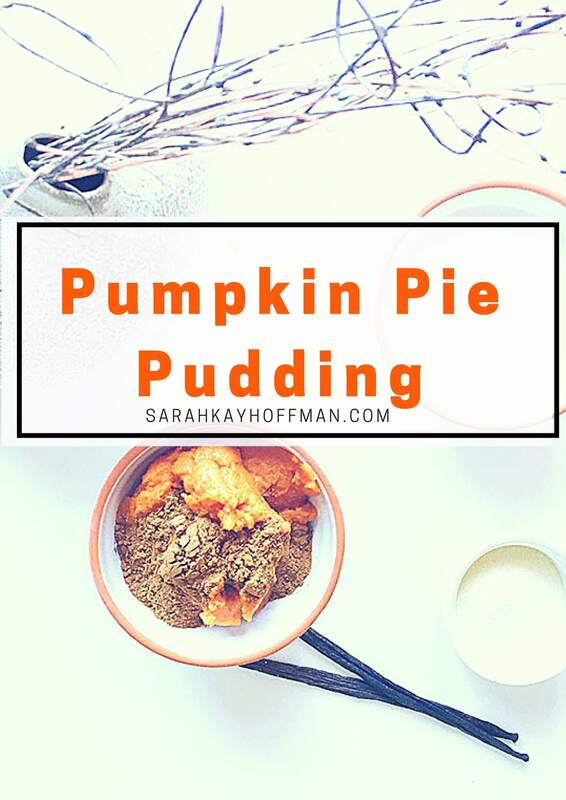 This is the perfect topping for the Pumpkin Pie Pudding! p.s. 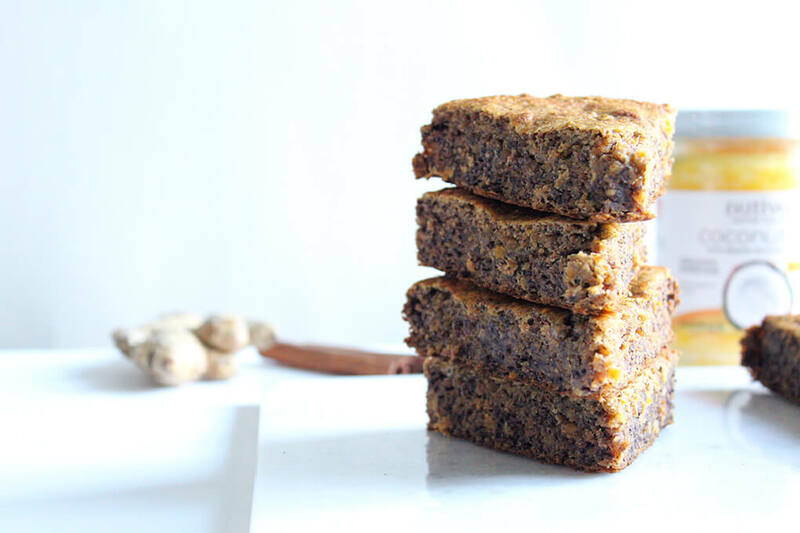 This recipe is gluten, dairy, soy, corn, egg and nut free. It has nil sugar and is grain free if you don’t use the “whip,” and because of the gelatin, is great for gut healing. It is also SCD, Paleo, Low-FODMAP, and GAPS-approved. p.s. It’s also more of a JELLO than a pudding, but it’s also kind of a cross-over of JELLO meets pudding. 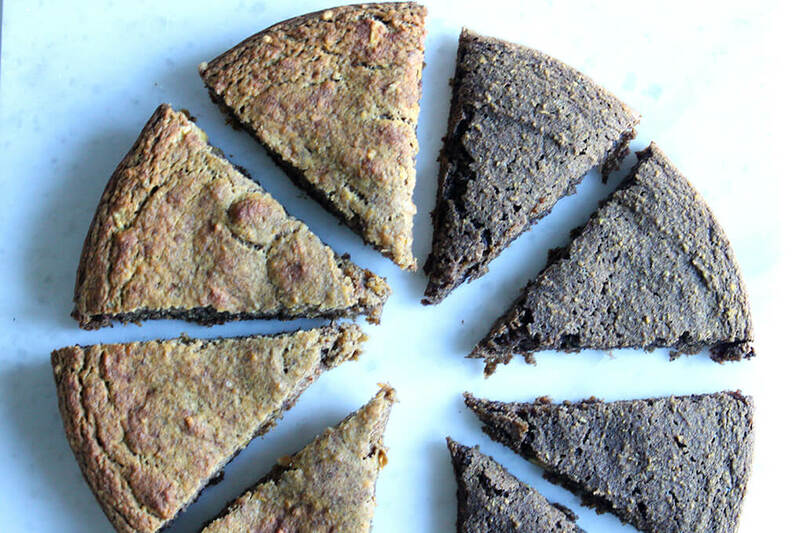 Nori is a tried-and-true real superfood that I must tell you about so today not only am I going to share information about it, but I’m also sharing Sunrise Nori Wraps with Amie Valpone. Nori is an edible seaweed that can either be eaten fresh or as a dried sheet. Most often, we eat them as dried sheets (they are the “wraps” of sushi rolls). As a dried sheet, it is black/green, but prior to the drying process, its original color is red. Additionally, it helps lower cholesterol, is rich in fiber, high in iron, contains impressive iodine content and good amounts of Vitamin A, thiamine, riboflavin, niacin, folate, phosphorous, potassium, zinc and Vitamins C, E and K. (Source) I started consuming it more frequently after being diagnosed with a low functioning thyroid and severe adrenal fatigue. My doctor said it was a “must-add” item to my diet. 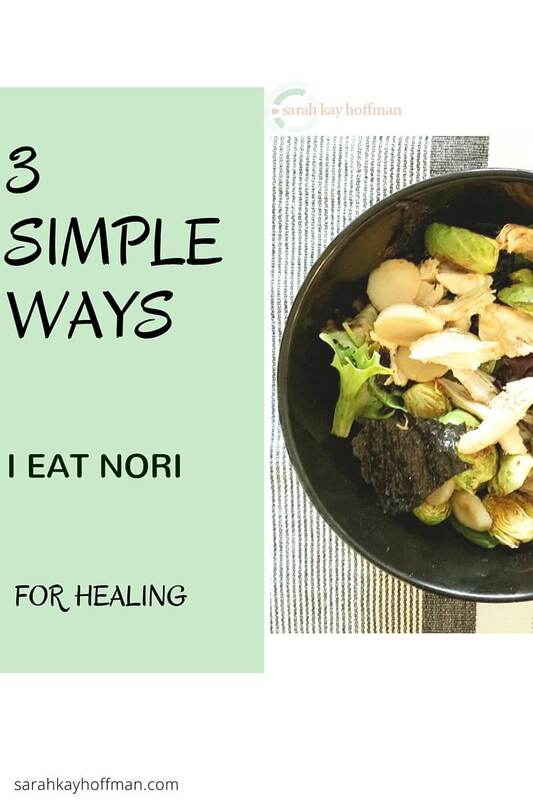 There are 3 simple ways I primarily add Nori into my diet. I am trying to eat it more and more often (just bought a jumbo pack again), and these 3 ways are my favorite! Roll with ’em. I haven’t had this one in awhile but used to put it on my Instagram all the time. 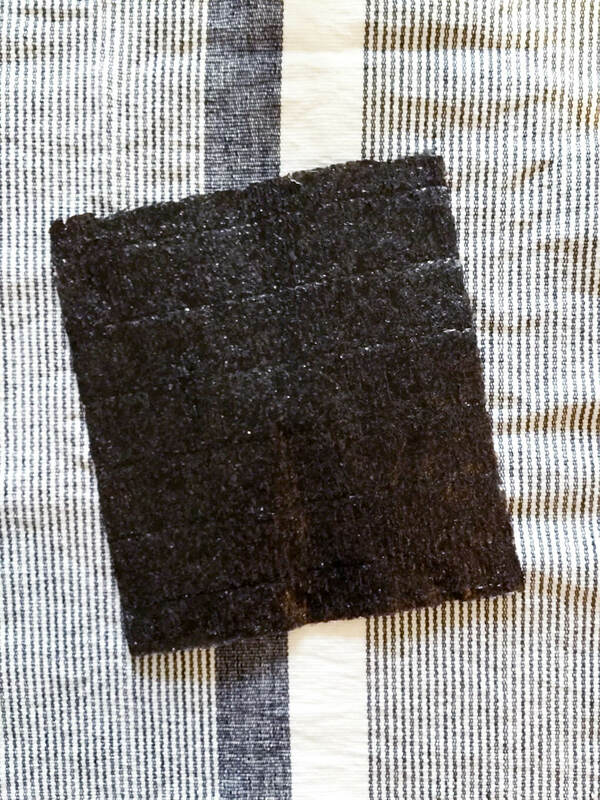 Simply lay out a flat sheet of dried Nori. Top it with wild tuna (Wild Planet is my favorite! ), avocado and/or green olives and then drizzle with a little Hemp Oil, Olive Oil, and/or Coconut Aminos. Roll and enjoy as an appetizer or snack. Bake ’em. Everyone always asks me how to still get crunchy without chips? Here you go! Try Nori Chips. Slice ’em. Pull apart dried sheets into whatever size desired, and then toss in with a warm or warm/raw salad. I added them last night to a warm/raw salad which consisted of organic spring mix, water chestnuts, sliced Nori, roasted organic chicken, roasted Brussels sprouts and drizzled with a little Coconut Aminos and Buttery Coconut Oil. So good! 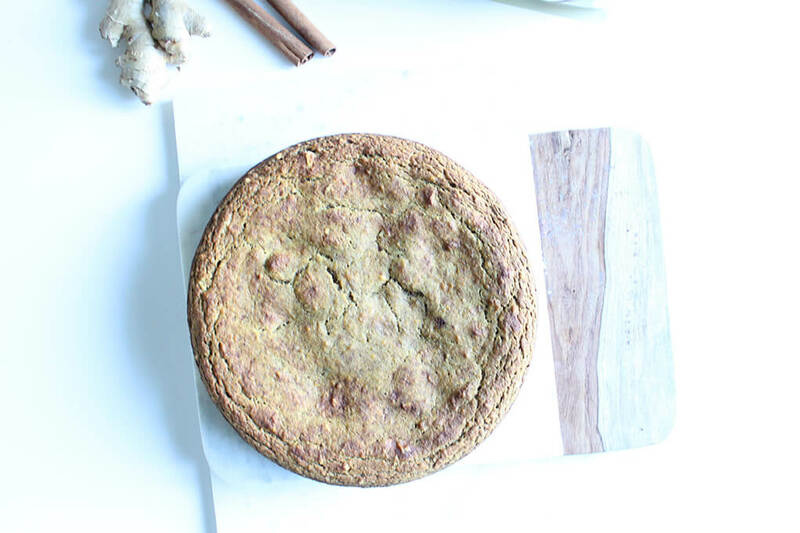 But if you’re looking for even more ideas with Nori, I have a complete recipe for you today! There are a lot of bloggers in the ‘sphere with autoimmune conditions who (sometimes or not at all) talk the talk, but never walk the walk. And if I’m to be completely transparent with you, it drives me absolutely crazy. My friend and author of the brand new book, Eating Clean: The 21-Day Plan to Detox, Fight Inflammation, and Reset Your Body is not one of these people, so when she came to me wondering if I’d share a recipe from the book, I was super excited! I met Amie several years back through a mutual friend who thought we might really get along due to health commonalities and approaches. And we absolutely did! You might not know her as Amie Valpone, but instead as The Healthy Apple. Either way, if you’re a fan of gut healing and healing autoimmune disease with food and lifestyle vs. drugs and medication (which, you are because you follow my blog!) then you must check out Amie, her blog, and her brand new book (eek….how exciting – I am longing for this day, too!). 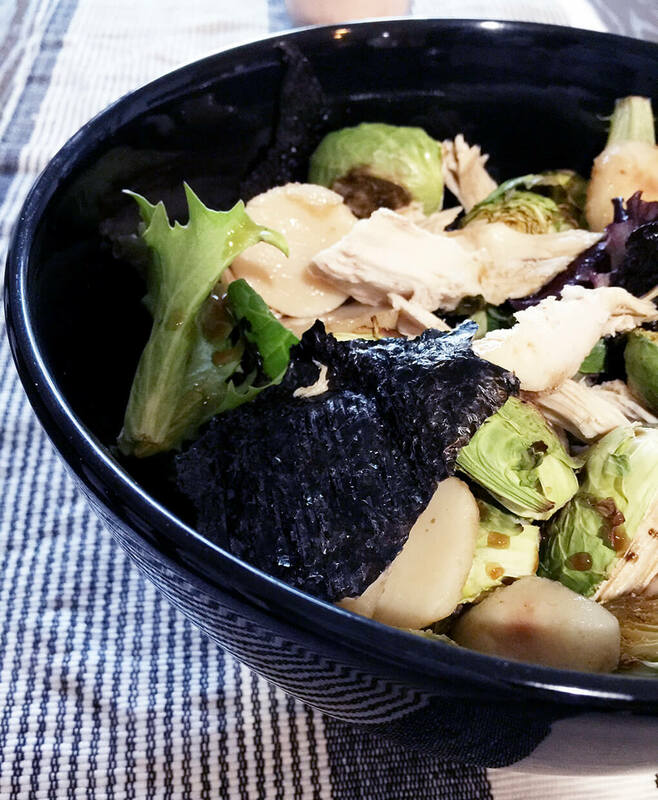 I had the chance to review several recipes from her new book, and I wanted to share this one with you because – well – nori. 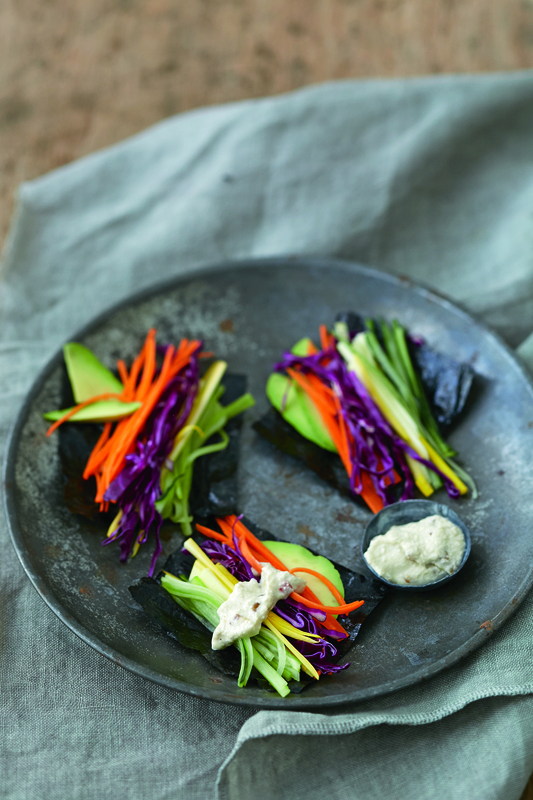 In case you want to add the bonus Spicy Tahini Drizzle to these wraps…. Combine all of the ingredients except the water in a blender. Blend, adding water 1 teaspoon at a time as you go, until the mixture becomes a thin sauce. 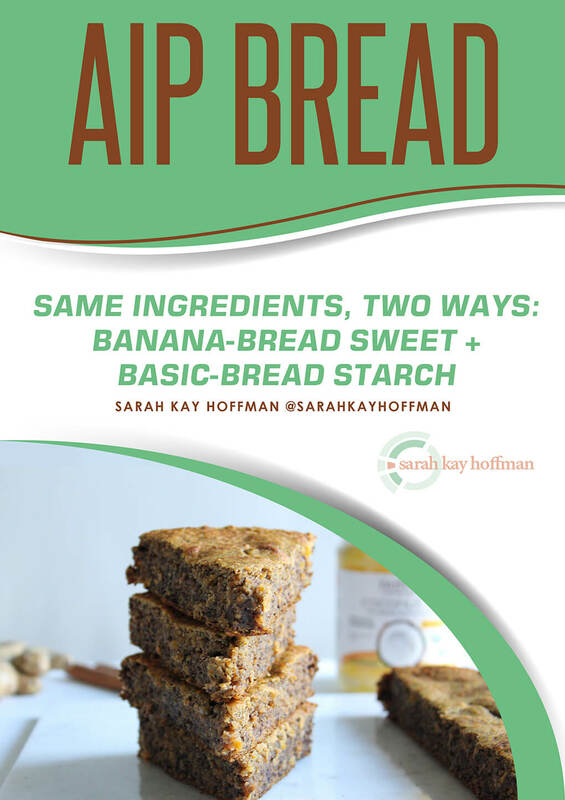 If you love this recipe (and of course you do), grab her book HERE for other recipes like; Golden Bell Pepper Soup, Magical Peach Arugula Salad, Millet Tacos, Basil and Mint Squash Noodles and more. p.s. If you buy, I make zero money. I’m just sharing awesome because good food with healing properties should be shared and celebrated. p.s.s. It’s a big morning here….TDM day.